Twin Mattresses for Kids from Jay-be, England. Best prices in Canada & free shipping! At Jay-Be® we know that a comfortable and healthy nights sleep is essential to supporting a child's physical and mental development. 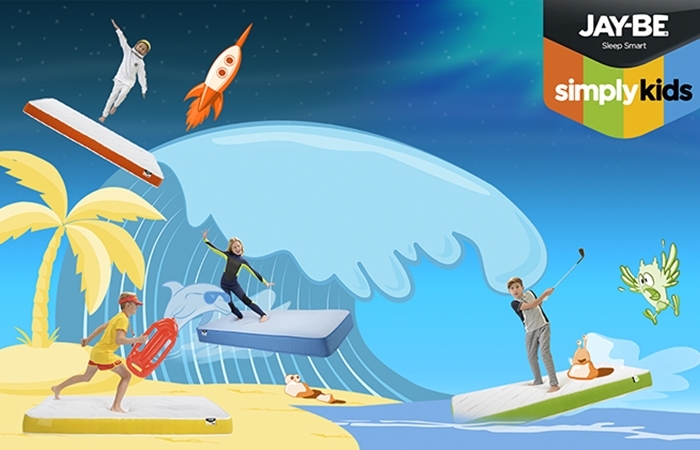 Recognising that kids require unique benefits from their mattress, we have used our experience and technical knowledge to create a simple yet comprehensive range, specially designed to ensure a comfortable night's sleep for your child. There are 4 mattresses in Jay-be range, each one uniquely fit for specific needs of your child. All Jay-be mattresses are made in England and vacuum-packed for easy shipping. Sustainably developed to help protect the future of our planet, all Jay-Be® children's mattresses are 100% free from foam and harmful chemicals. Designed for durable performance and backed with a 5 Years manufacturers guarantee so you can rest easy too.